New Orleans: A city with one foot in the past and the other ankle-deep in chartreuse-flavored dreams. Creatures and spirits of every ilk saunter down the jazz-filled streets day and night, struggling to find purpose amidst the ivy-drenched balconies and colorful shotgun houses. 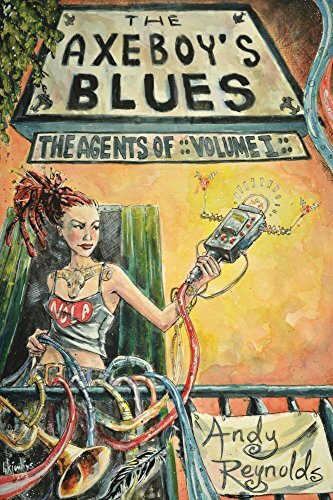 The Axeboy’s Blues follows a centuries-old agency tasked with protecting New Orleans from forces that would see her destroyed. Unfortunately, the agency was nearly wiped out and is virtually nonexistent. In a city where mosquitoes wear vests and spectacles, where the Mississippi is teeming with monstrous beasts, and where Wonder sprouts from peoples’ heads like plants, can this agency fill its ranks once more to take on an adversary from its past – an adversary that has jumped through time?